First off, we provide a free and usable online public demo of MIDAS that you can access whenever you wish for as long as you wish. This is a functional "demo" system that you can use to explore and evaluate many of the features and capabilities of our web based room and resource scheduling software. However, as you might expect, because this is a public-facing shared demo accessible to everyone, we've disabled the changing of some software settings and administrative options. You'll still be able to add, modify, and delete bookings and much more in this usable public demo though. If after exploring our public demo you're still unsure whether our room booking system would meet your particular scheduling needs, or you would like to explore MIDAS further with access to the many administrative settings not available in the public demo, we are able to offer your organization your own dedicated and completely FREE, no-risk, 30-day trial of MIDAS hosted on our servers, without any of the restrictions of our "public" demo! So we'd welcome you to explore our public demo in the first instance, and then if you're interested in evaluating your own dedicated private trial system of our MIDAS scheduling software, simply click here for your FREE 30 day trial. 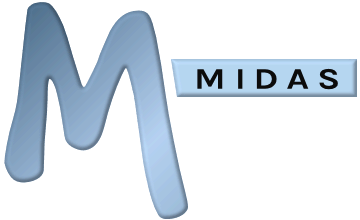 No credit card or commitment to purchase is required, and your MIDAS trial system can be up and running within minutes! Can I have an extension to my 30 day trial?